Posttraumatic stress disorder (PTSD) is a major public health concern, which has been seeing increased recent attention partly due to the wars in Iraq and Afghanistan. Historically, research attempting to understand the etiology and treatment of PTSD has made frequent use of psychophysiological measures of arousal as they provide a number of advantages in providing objective, non-self-report outcomes that are closely related to proposed neurobiological mechanisms and provide opportunity for cross-species translation. Further, the ongoing shift in classification of psychiatric illness based on symptom clusters to specific biological, physiological, and behavioral constructs, as outlined in the US National Institute of Mental Health (NIMH) Research Domain Criteria project (RDoC), promises that psychophysiological research will continue to play a prominent role in research on trauma-related illnesses. 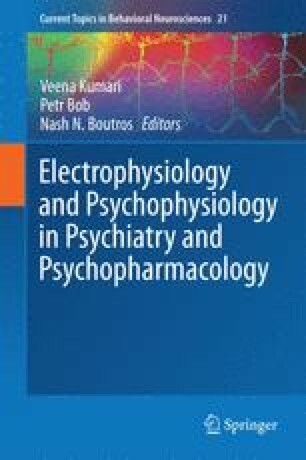 This review focuses on the current state of the knowledge regarding psychophysiological measures and PTSD with a focus on physiological markers associated with current PTSD symptoms, as well as markers of constructs thought to be relevant to PTSD symptomatology (safety signal learning, fear extinction), and psychophysiological markers of risk for developing PTSD following trauma. Future directions and issues for the psychophysiological study of trauma including traumatic brain injury (TBI), treatment outcome studies, and new wearable physiological monitoring technologies are also discussed. This work was supported by MH074697, MH042228, VA BLR&D Merit Award, and a NARSAD Young Investigator Award.